Baby Keith was far from alright. 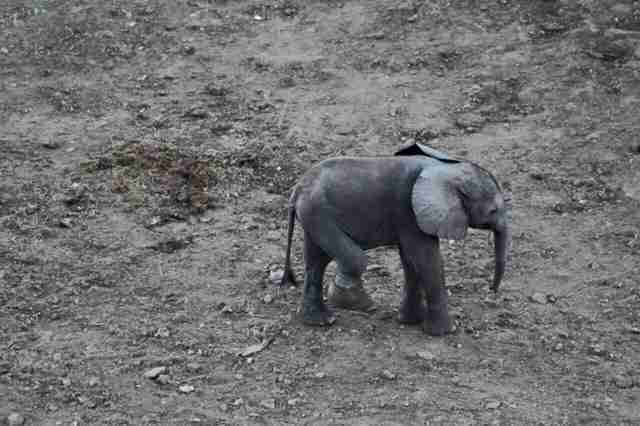 The 3-month-old elephant calf was first spotted by a camp manager at the Greater Mapungubwe Transfrontier Conservation Area (TFCA) in Zimbabwe during the first week of July. His right hind leg was severely swollen, leaving him in desperate need of medical attention. 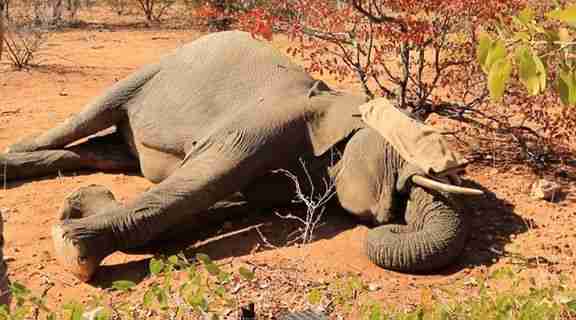 The camp manager took photos of the elephant and sent them to AWARE Trust Zimbabwe. 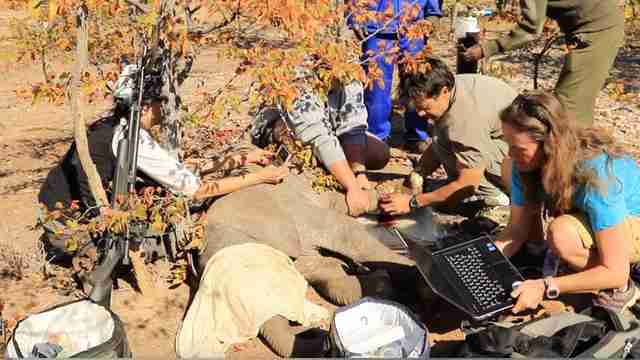 Upon receiving photos of the calf, veterinarians from AWARE immediately began to track down the elephant - getting permission to search the parks from wildlife officials, and getting in touch with locals in the area to see if they knew anything about the young elephant and his troubling condition. 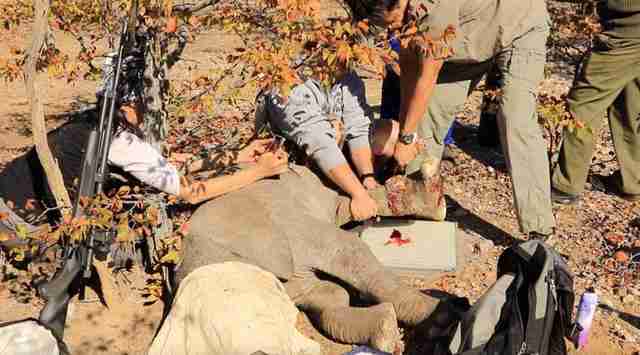 From the photos provided, the team accurately guessed that the calf's foot was wrapped in a wire snare trap. "These elephants roam the Greater Mapungubwe TFCA, into Tuli and Botswana, part of which is communal land," Dr. Lisa Marabini, director of AWARE, told The Dodo. 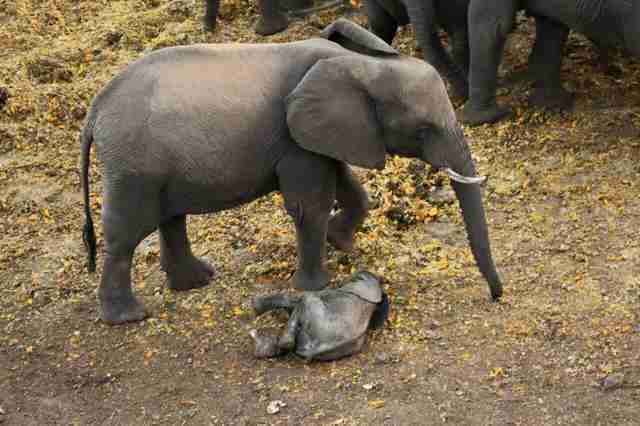 "I suspect the elephant picked up a snare set by a villager for the bushmeat trade." 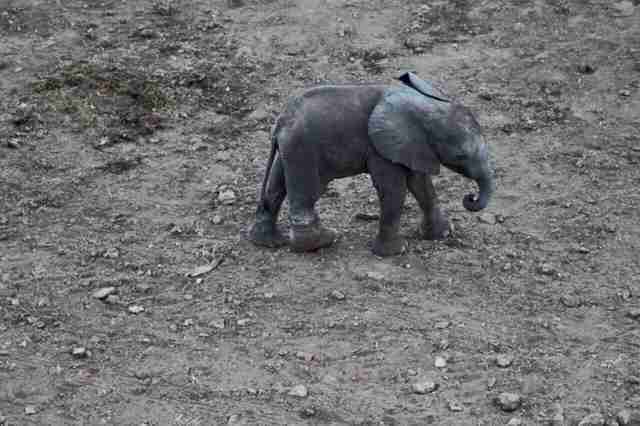 By the time the veterinarians were able to reach the watering hole where Keith, his mother and his herd had reportedly been gathering for two days in a row, it was too late - the injured elephant and his herd had disappeared. "Immobilizations can only safely be performed in daylight as the drug takes 10 to 15 minutes to take effect, during which time an animal could run off and get lost in the darkness," AWARE wrote on Facebook. 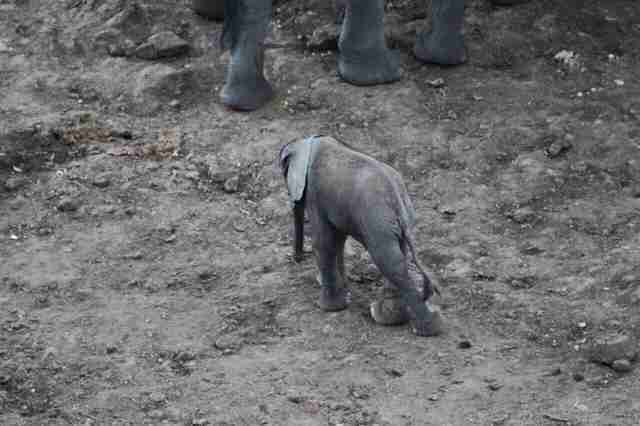 "Additionally it would not have been safe to immobilize the baby elephant and its mother with up to 100 other elephants milling around." The search was called off by nightfall, but picked back up the next day. A drone was utilized to follow a nearby herd, and the team attempted to approach on foot, but both times they scared off the animals, leaving veterinarians unable to get close enough to see if the calf with the swollen foot was among them. The second night came and the search had to be paused once again. "We realized the only safe and effective way we would get a chance to locate and dart the baby is with a helicopter," AWARE wrote. "We figured that with his injury, the calf would be slow and the herd would not have ventured too far from the water point. We clearly underestimated his mobility, because after scouring the area for four and a half hours spread over two days in the helicopter, we could not find him." Sadly, AWARE no longer had the funds available to continue the search and had to call it off, relying instead on word of mouth about further sightings of the calf. It wasn't until weeks later that AWARE would gain the opportunity to rescue Keith for good. "In the last 10 days, reports of sightings started to come in again at the same water hole, together with some pictures showing the calf's deteriorating condition," AWARE wrote in a Facebook post on July 24 recounting the rescue. The AWARE team had a rhino management operation scheduled and decided to utilize their resources from the operation to take one last stab at locating Keith. Finally, on Saturday, Keith was found. "His swollen foot was unmistakeable from the chopper as he sped along on three legs with his mother following," AWARE wrote. Keith's very protective mother, who never once left him, was tranquilized along with her calf for the safety of the team. Veterinarians were finally able to get a close look at the extent of his injury. "Although he was thinner than he should be, from fighting the devastating injury, the calf was strong and was very stable under the anaesthetic," AWARE wrote. As it turns out, the snare was so deeply embedded into his leg that it had reached the very bone. An X-ray conducted on site showing damage done to his feet as well. Despite the injury, Keith had a good blood supply still running through the foot. Rescuers say Keith has a good shot at recovery because of his youth. The vet team cleaned Keith's wounds and gave him pain relief medication, in addition to long-lasting antibiotics. After the team patched Keith up, they woke up the calf and his mother. "The mother instantaneously got her bearings and we could swear she nodded at the calf, before they went trotting off in unison into the bush," AWARE wrote. Keith's rescuers believe that he'll be left with a deformed foot, but Keith has already demonstrated that he has no problem keeping up with his herd on three legs. More importantly, Keith will no longer have to endure the pain that plagued him for weeks, thanks to the veterinarians who refused to give up on saving him. Want to help AWARE continue assisting animals in need? Consider making a donation here.